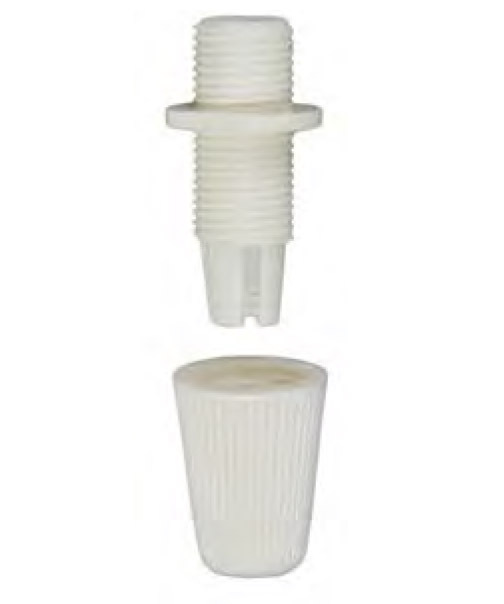 This off-white pulley lamp cord grip bushing is designed for 18/2 SVT lamp cord and cloth or Rayon covered pulley lamp cord. Great for pendant lighting where the cord attaches at the canopy. Plastic material. No reviews yet for the Off-White Pulley Lamp Cord Grip Bushing.